This is a full-bodied hoppy beer with a fresh, citrussy nose. It's brewed with fresh Oregon Willamette hops, local Cornish Gold malt and the brewery's own natural Cornish spring water. 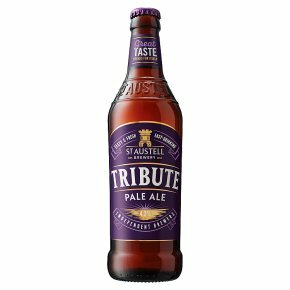 Try serving Tribute when you might have reached for chilled white wine; a match for roast chicken or grilled fish.